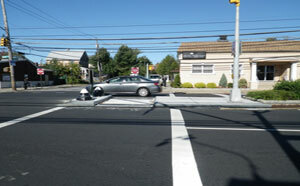 Hylan Boulevard is the only continuous north-south route on the South Shore of Staten Island. On a typical weekday, 44,000 vehicles and 32,000 bus riders use the 17-mile-long corridor. 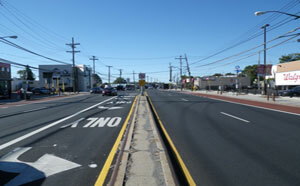 In 2010, The New York City Department of Transportation (DOT) and MTA New York City Transit (NYCT) conducted the Hylan Boulevard Transportation Study to improve traffic flow, transit service, and safety on the corridor between the Staten Island Mall and the 86th Street R station in Brooklyn, via Richmond Avenue and Hylan Boulevard. At the time of the study, about half of the bus riders used the local S78 and S79 buses while the other half used one of eight different express routes. 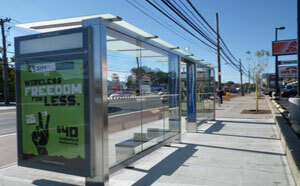 The goal of the Hylan Boulevard Select Bus Service project was to improve local and express bus travel time and reliability, improve traffic flow at congested intersections, and improve safety for all corridor users, including motorists, transit riders, and pedestrians. As part of the study, DOT and NYCT analyzed through and turning traffic on the corridor, surveyed parking activity, and analyzed transit ridership. To develop a full picture of how people used the corridor, the two agencies surveyed local merchants and conducted extensive public outreach for feedback from stakeholders. 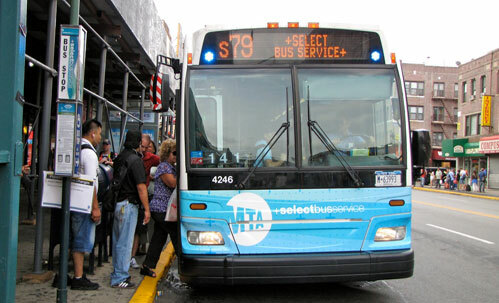 DOT and NYCT used the information collected to develop transit, traffic, and pedestrian improvements, an ultimately a project for the S79 Select Bus Service on Hylan Boulevard, which launched on September 2, 2012. 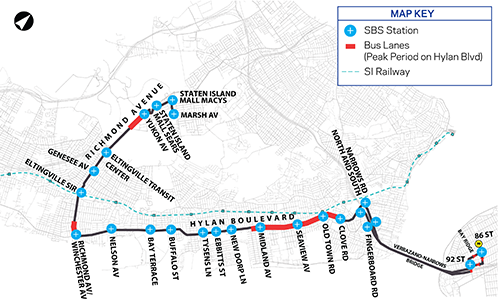 The S79 Hylan Boulevard Progress Report lays out the planning process, provides project details and results, and suggests additional future improvements to the corridor. DOT will soon activate a sign that will provide real-time information on travel times to the Verrazzano Bridge via Hylan and Father Capodanno Boulevards. Later in 2014, DOT will activate Transit Signal Priority along Richmond Avenue and Hylan Boulevard to help buses spend less time at red lights. In 2016, DOT will construct improved Select Bus Service stations on Richmond Avenue at Yukon Avenue, and on 92nd Street at Fort Hamilton Parkway. 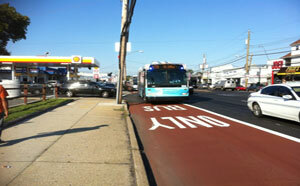 By 2016, DOT will construct or lengthen 21 concrete bus pads at Select Bus Service stations, to help ensure a smoother roadway. Download a summary of Select Bus Service improvements, including a map of the route and stations (pdf). Community outreach for the Hylan Boulevard Transportation Study included a Community Advisory Committee, public meetings, and outreach to specific stakeholders. Throughout the study, design and implementation process, DOT and NYCT used this outreach strategy to foster a dialog between the stakeholders and the agency and ensure full community engagement. NYCT, and DOT convened a Community Advisory Committee, a broad range of stakeholders, including elected officials, Community Board members, civic/neighborhood groups, business organizations, and major area institutions, who met every few months throughout the course of the project to assist in the planning and development of the S79 Select Bus Service. Open Houses also took place at key points to inform and gain input from the Community Advisory Committee and the larger public. Open Houses included presentations with question and answer sections and information boards, and gave the public the opportunity to have one-on-one conversations with project staff and to comment on Select Bus Service design plans.